Today our team had a great reason to step away from our screens. 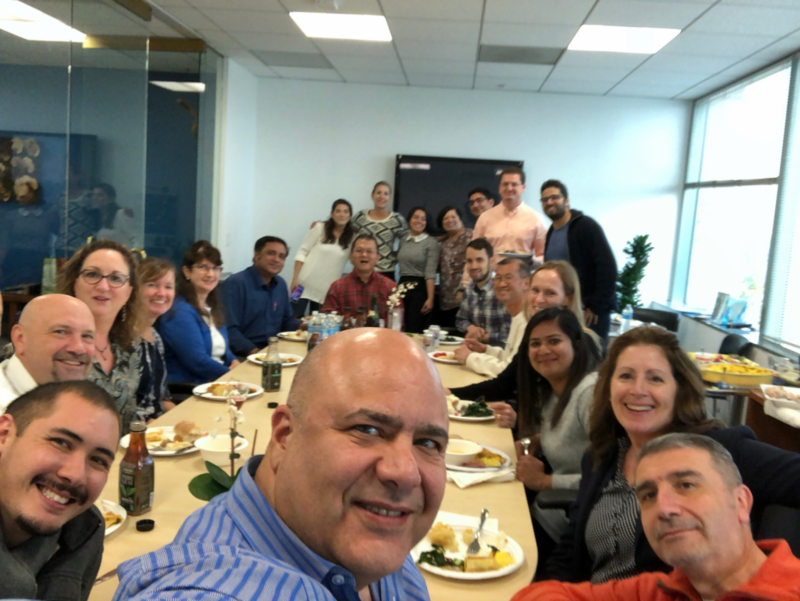 Staff shared their favorite Thanksgiving inspired treats with the team and took a moment to connect with colleagues and clients. Diverse dishes ranged from turkey and ham, to curry and kale – including cauliflower, fudge and pumpkin pie. At AMG we are grateful to work with such an amazing group of people, thank you to all who contributed to making the potluck a success.